Today’s software applications are mostly cloud based applications or web based applications which make it extremely challenging for software test practitioners to design and execute a set of tests adhering to multiple aspects of quality and stand ahead in the competition. The practice becomes more challenging especially when it needs to be delivered in a limited time span. Often, the practitioners are left with either exploratory test techniques or their past experiences with the similar line of products being validated which is against the test philosophy of systematic or methodic approach and render a relatively small subset of effective tests of any pre-determined hypothesis. Functional testing is the technical process of software testing practice and is categorized under Black Box testing, where the code structure is unknown to the user and is used to recognize the correctness and completeness of features developed in a computer software. In a pessimistic view, it is a process of attempting to detect the discrepancies of the real behavior of the coded feature against the specifications. It is one of the prime and vital ingredients of the software testing levels being performed, whose sole purpose is to ensure that customers or end-users receive workable features. Functional testing plays an extremely importance role in defining the strategy for quality of the product, which is higher in the hierarchy of the software testing process. The exterior qualities determined by the functional testing are usability, reliability and functional integrity of the software sub systems. Even a minor deviation in functional coverage can cost the quality of the product that is being validated. It becomes a necessity to ensure customer satisfaction by ensuring maximum coverage of the product against each function or feature being developed. The process of functional testing involves the breaking down of program specifications into logical components and making a detailed set of scenarios for each component to develop functional test cases. These are then mapped directly to the requirement specifications. The mapping of the requirement is termed as a ‘traceably matrix’ that determines the functional coverage against each requirement during execution of the functional test cases and satisfies the core objective of identifying the discrepancies with respect to its actual behavior. Often the team who practices the functional testing gets confused and translates each requirement or sub-requirement as a functional test case which is in contrast to the practice of validating the actual behavior of the function with any given input condition that has been coded by the product development group. This further leads to lesser functional coverage and deviates from the objective of performing the functional test. Any type of input condition forms several scenarios that leads to designing of robust test cases. The most commonly used technique of functional testing in deriving the test cases are boundary value analysis, equivalence partitioning, classification tree and decision tree. 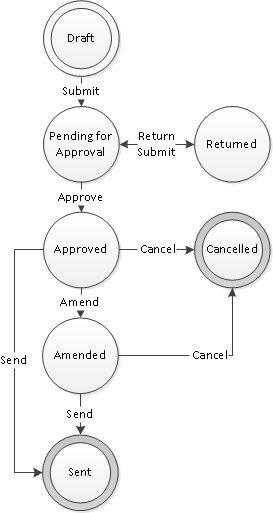 The other techniques that are worth mentioning is finite state machine, data-control flow graph or data-flow graph, use case flow and cause effect graphing. Each technique is effective in designing robust test cases and becomes more effective when truly understood and implemented as per the specification analysis. Several automated tools have been developed to support the most widely used practice of functional testing, yet they do not ensure the methods that need to be employed or the need for automation. It is completely on the software test practitioner to analyze and decrypt the features that need to be automated with best suited techniques. Tools only perform operations that that have been instructed and hence it is human judgment that wins the race in the automation era of certifying the product. Have an application or software to be tested for Fucntional Testing? Contact us now or call us on 1-877-RISHABH (1-877-RISHABH) to learn more about our software testing services.